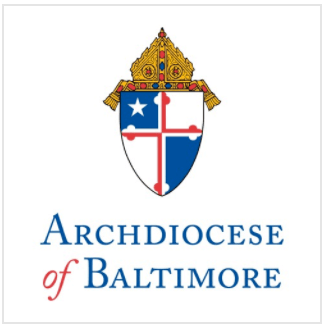 Approximately 1,300 Catholic young people will join Archbishop Edwin F. O’Brien, Archbishop of Baltimore, and Auxiliary Bishop Denis J. Madden, in a pilgrimage through the streets of Baltimore on Saturday, April 4, carrying a 10-foot wooden cross. This would be the largest turnout for the annual youth pilgrimage—in its 16th year—which marks the start of Holy Week, which begins on Palm Sunday, April 5 and ends on Easter Sunday, April 12. Following a rally at St. Mary’s Spiritual Center on Paca Street, the group will divide into two groups for the 3-mile-long journey to Canton, alternately making stops at St. Jude Shrine for a gospel concert and the Baltimore Basilica, America’s First Cathedral, for Eucharistic adoration. After meeting at War Memorial Plaza, the group will proceed to St. Casimir Church in Canton, where the palms to be given out at Palm Sunday Masses will be blessed, and where Mass will celebrated by Archbishop O’Brien. The idea for a youth pilgrimage originated from World Youth Day in Denver in 1993, which also featured a pilgrimage of youths carrying a large cross.